Trump is using national security grounds to justify tariffs of 10 per cent on aluminum produced outside the U.S. and 25 per cent on steel. 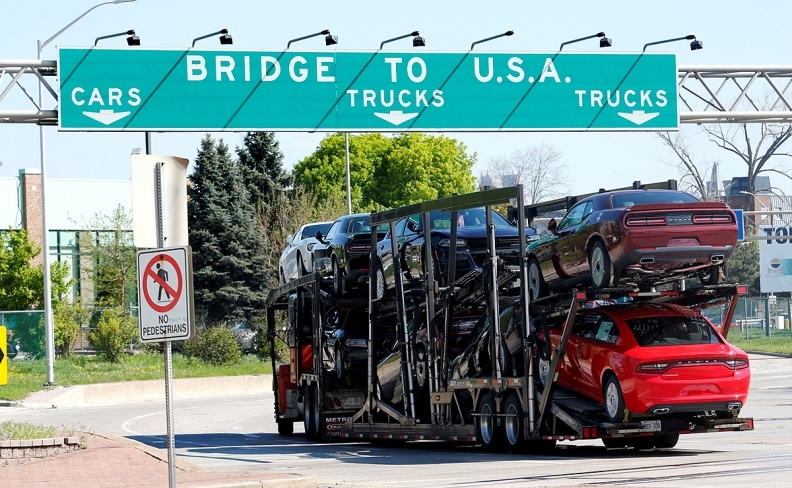 WASHINGTON — Auto industry stakeholders looking forward to some postelection progress on legislation and an end to the Trump administration's tariff volleys should probably expect the opposite. With divided government beginning in January, and the current polarized atmosphere, the watchword here is "gridlock," political observers say. House Democrats are expected to use their new power to launch investigations into alleged corruption by senior administration officials and President Donald Trump himself, as well as Russian interference in U.S. elections. The GOP-controlled Senate could be busy confirming new cabinet members. Attorney General Jeff Sessions was forced out of office last week, and many other department and agency heads are expected to quit or be fired in the coming weeks. Congress will fund the government and raise the debt ceiling, "and then I think Mitch McConnell is more than happy just confirming new judges," Chris Krueger, managing director of political strategy for Cowen, said of the Senate majority leader. Cowen is a diversified financial services firm. "The first Trump child that gets subpoenaed in January [by Special Counsel Robert Mueller], he goes completely berserk, and bipartisanship is out the window," Krueger said at a postelection briefing organized by the Association of Global Automakers. Krueger said that Congress, unwilling to test Trump's threats to pull out of the North American Free Trade Agreement, likely will approve the new United States-Mexico-Canada Agreement by spring. Canada and Mexico remain unhappy about signing a free-trade deal at the end of November when the administration hasn't exempted them from global steel and aluminum tariffs. The White House ultimately will resolve the situation by imposing quotas on Mexican and Canadian steel rather than letting imports in free and clear, he predicted. Whether Democrats, who favor the idea of leveling the rules to encourage domestic manufacturing, support the pact could depend on the UAW's ultimate position. The union hated NAFTA and could demand "bells, whistles and presents" to get on board with the new agreement, said Kristin Dziczek, lead policy analyst at the Center for Automotive Research. Both experts said they expect the Trump administration to soon move ahead with threats to impose high tariffs on imported autos and auto parts, especially to gain leverage in trade talks with the European Union, Japan and Britain. The trade war with China will escalate, they added. The Democratic gains could bring more scrutiny of Trump administration efforts to dismantle Obama-era clean-car standards. The House could conduct hearings on how NHTSA and the EPA are handling the fuel economy rule-making, which has been criticized by environmental and consumer groups as lacking scientific justification. Meanwhile, the election of Democrat Gavin Newsom as California's governor means the state will continue fighting to retain authority to set its own emissions rules. Congress' lame-duck session could be devoted to government funding and a farm bill, but Republicans could be more willing now to compromise on deregulatory autonomous vehicle legislation before Democrats take charge in the House, Eric Tanenblatt, a principal at Dentons law firm, said in a blog. The legislation has been stalled for months in the Senate, where a few lawmakers concerned about public safety are blocking unanimous consideration.